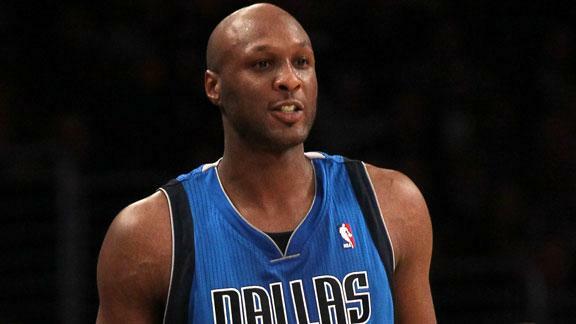 The Dallas Mavericks, defending NBA Champions, have essentially released 13 year veteran, Lamar Odom. The decision came soon after Mavs owner, Mark Cuban, questioned Odom’s commitmentment to the team. Odom has struggled mightily this season recording career lows in almost every statistical category. With the “release” Dallas still retains the rights to Odom and would receive compensation from any team that looked to sign the maligned vet. According to ESPN.com’s Marc Stein, the two sides reached an agreement that allowed the two parties to separate immediately. The Mavs will move on and probably make the playoffs while most players at this stage of their careers never fully comeback from things such as this. Lamar Odom should try to regain his form but in my opinion that would be a lot easier said than done. His psyche has been damaged, and it looks as though he has lost all confidence. Maybe he should relax for the rest of the year on Mark Cuban’s dime and reflect on whether or not he should return.